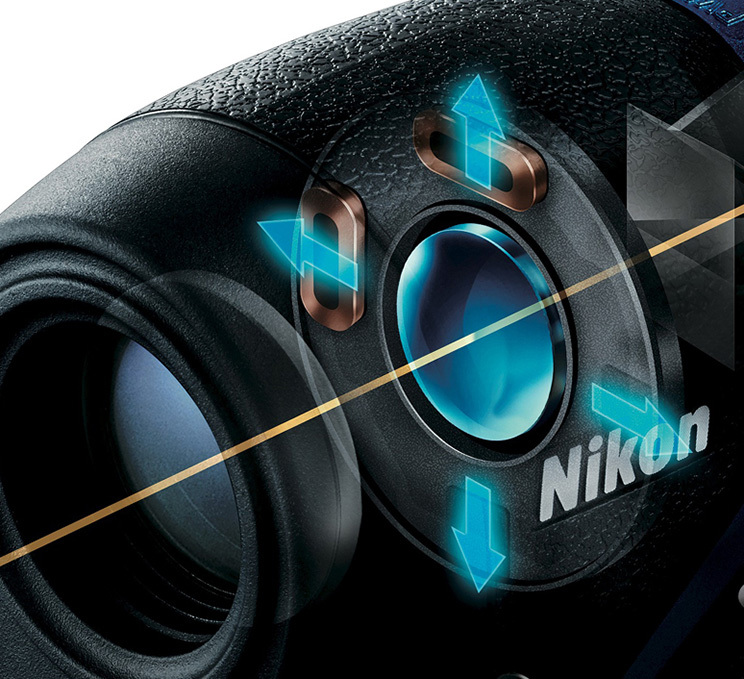 Employing Nikon's VR (Vibration Reduction) system, vibrations of the image in the viewfinder caused by hand movement are reduced*, and the irradiated laser is also aligned at the same time. 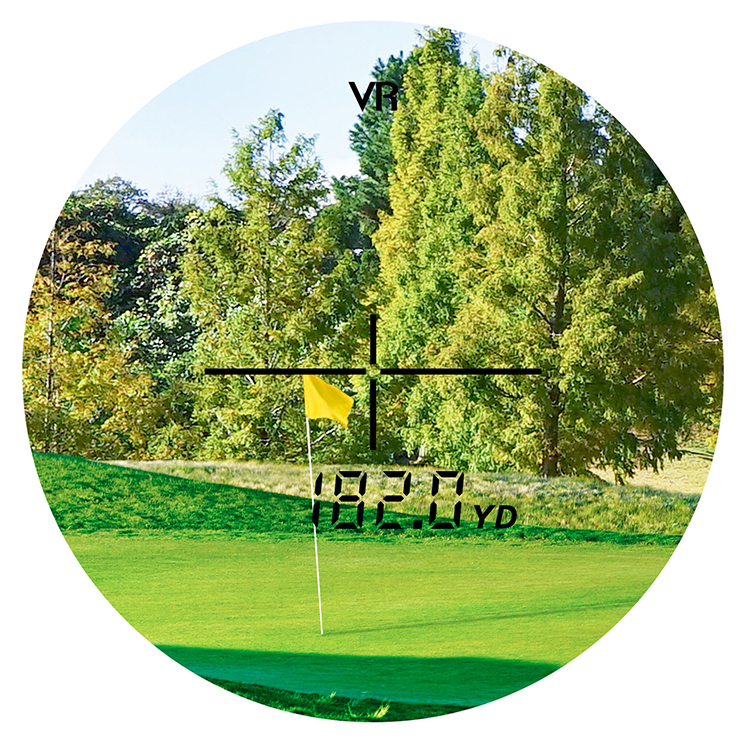 Because you can direct the laser onto the target faster and more easily, the ease of measurement to a small subject like a flagstick is greatly improved; all achieved by Nikon's original technologies that are a fusion of VR Technology and high-performance measurement function. Picture the scene of an approach shot to a green with woods in the background, where you are not sure whether the measured distance is to the flagstick or to the trees behind it. LOCKED ON Technology displays the distance to the closest subject, the flagstick, and the LOCKED ON sign ( ) in the viewfinder appears to inform you at the same time. It is clearly visible that the distance to the flagstick has been measured even with trees in the background. *Single measurement: When measuring overlapping subjects and the distance to the closest subject is displayed, the LOCKED ON sign ( ) appears. Continuous measurement: When displayed figures shift to a closer subject, the LOCKED ON sign ( ) appears. 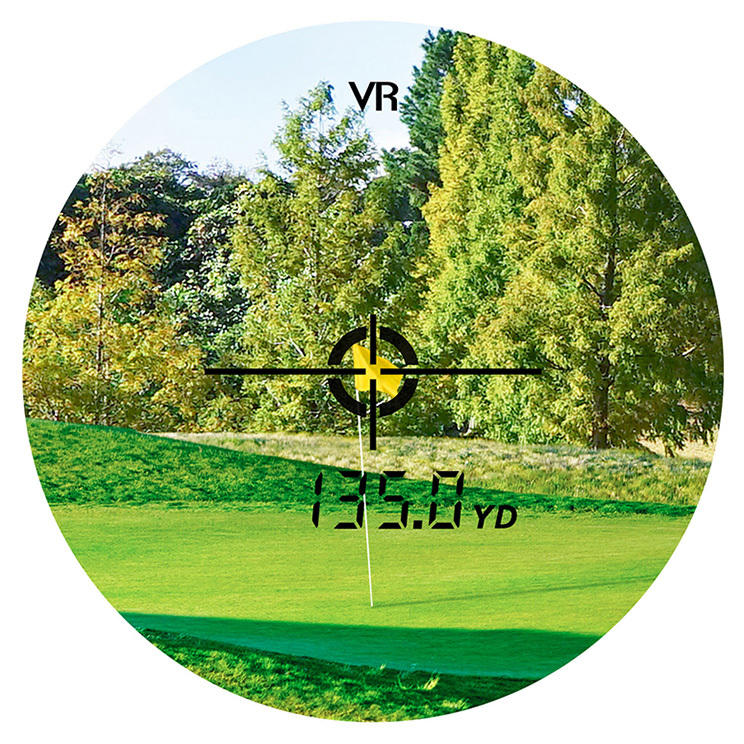 Simulated viewfinder image when measuring to a flagstick with woods in the background. Simulated viewfinder image when measuring to woods in the background. *1Based on Nikon's measurement standards. LOCKED ON Technology*2: LOCKED ON sign informs you of the distance to the closest subject. When measuring overlapping subjects, the distance to the closest subject is displayed with a LOCKED ON sign in the viewfinder. For example, on a golf course, it is clearly visible that the distance to the flagstick has been measured even with trees in the background. *2Single measurement: When measuring overlapping subjects and the distance to the closest subject is displayed, the LOCKED ON sign appears. Continuous measurement: When displayed figures shift to a closer subject, the LOCKED ON sign appears. Distance measurement display step: 0.5m/yd.